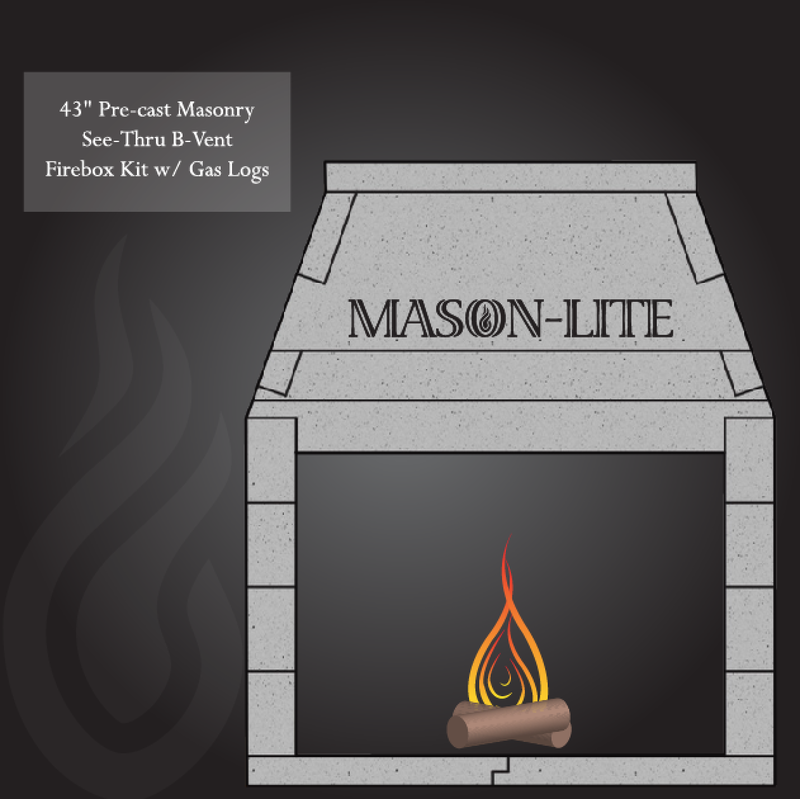 Mason-Lite offers traditional wood burning fireplaces that can include a pre-installed ANSI Z21.60 approved gas log set. 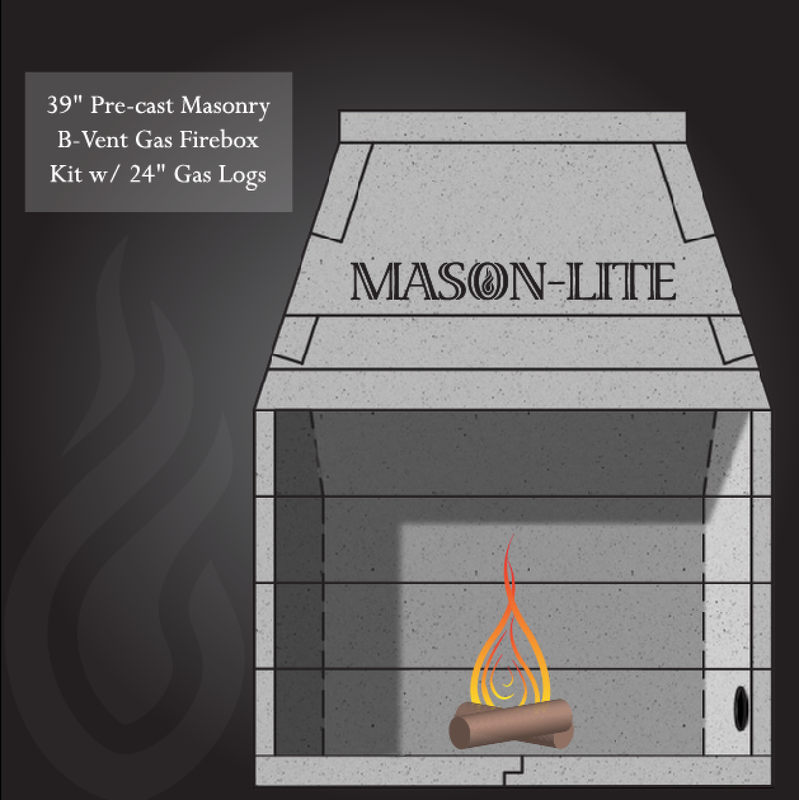 Also available is our B-vented series that includes a RH Peterson Real Fyre gas log set with remote control. 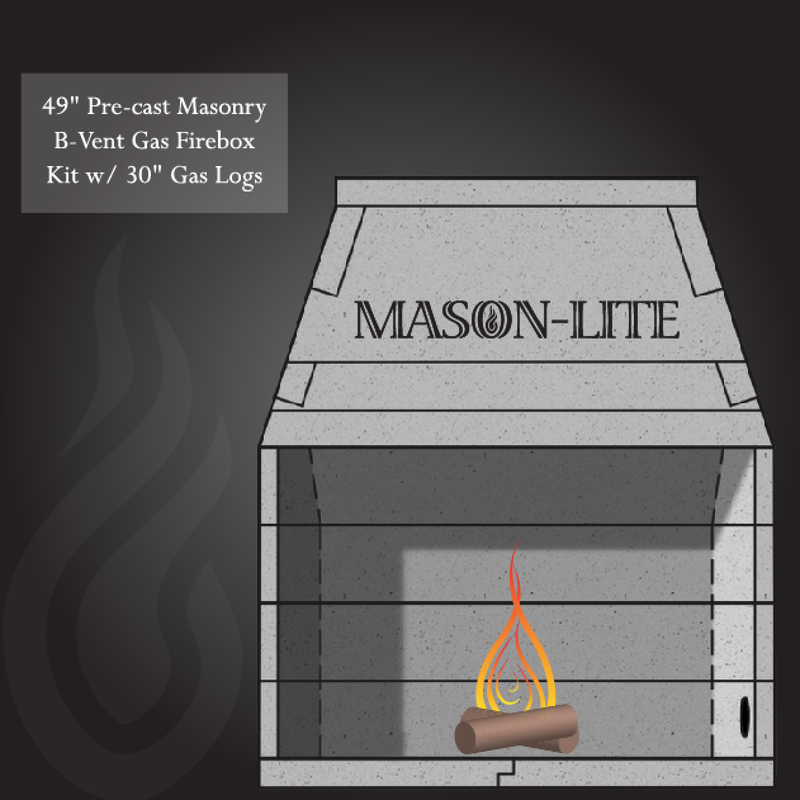 Our vent-free fireplace is designed for approved, indoor applications- where allowed- or for outdoor applications using a clean burning gas log set. Optional Mason-Lite brick panels are available in all standard sizes in Split Herringbone & Full Running Bond.